Basement sewer backups can not only be a real mess to clean up but also a health concern. That is why the City is recommending that each homeowner and business in the City perform annual (or as often as needed) routine sanitary sewer service line cleaning and root cutting. Tree roots seek this source of water in your yard and are often the main culprits of sanitary sewer service backups. In some areas of the City, root intrusion is a serious problem, causing ongoing sanitary sewer service backups for homeowners. Routine maintenance will reduce your risk of creating these backups. In addition, wastes can accumulate in your sewer service line creating a blockage. 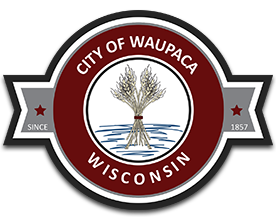 A city ordinance requires you or a contractor hired by you to contact the City of Waupaca Public Works Department 48 hours prior to any sanitary sewer service root cutting or general sewer service cleaning. This notification is required so that city crews can assist in minimizing any blockages in the sanitary sewer main caused by your sewer service line cleaning work. In the event of an emergency where your sanitary sewer service line is backed up, you or your contractor are required to contact the City as soon as possible. The City has been proactive in working with homeowners to identify sewer service problems and assisting them and their contractor in remedying the situation. If your sanitary sewer service line is collapsed or severely deteriorated, the City is responsible for its replacement and pavement and parkway restoration up to the homeowner’s property line. Property owners are responsible for the routine maintenance of the sanitary sewer line from your home or business to the sanitary sewer main. You are also encouraged to contact the insurance company holding your homeowner’s or rental insurance policy to verify whether they will cover sewer backups and to consider separate coverage if your current policy does not cover sanitary sewer backup damage.